Merry Christmas to one and all! Do you enjoy dark chocolate? How about spicy food? How about spicy hot chocolate on a chilly winter's night? If so, you're in luck. My stand alone Christmas murder mystery is a perfect item to warm you up on a cold evening. 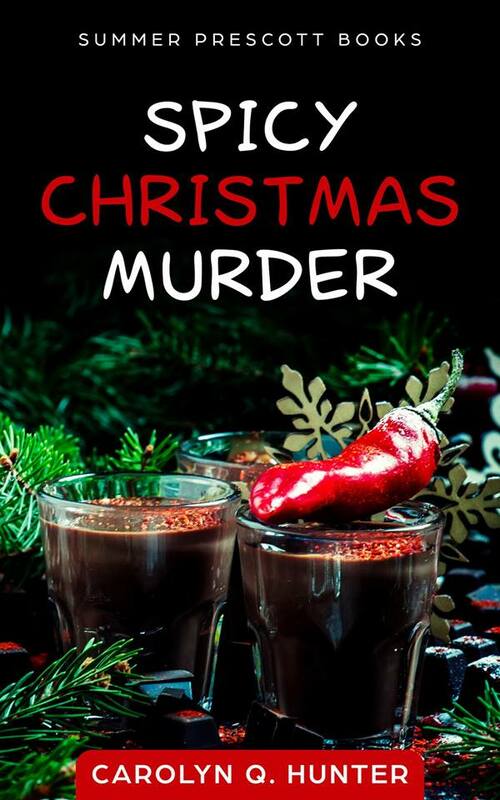 Spicy Christmas Murder is a stand alone reprinting of my cozy mystery contribution to last year's Summer Prescott Books Publishing Christmas collection (which is no longer available). Therefore, I'm thrilled to announce the solo release of this wonderful title! 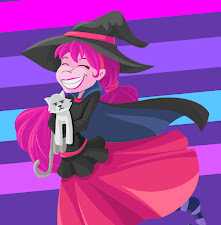 The main character and business are based off a real woman and her hot sauce company. It is called Crazy Gringa's Hot Sauce. So, go check that out for the inside scoop! 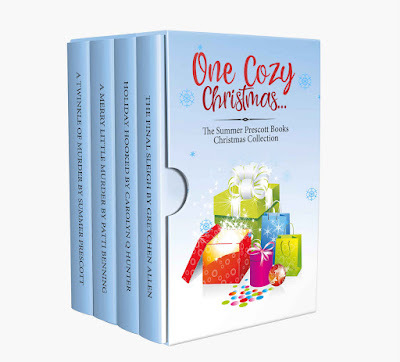 You'll feel the burn in this exciting Christmas Cozy Mystery! Hot sauce shop owner, Margo, never expected to find herself having to hide out for her own safety during the Christmas season. When it comes to homicide, however, Sheriff Carlsbad isn't taking any chances. Will Margo be able to help determine just exactly who is trying to hunt her down before Christmas Day, or will she and the sheriff be too late? Find out in this intense holiday Cozy Mystery! Pick up your copy of the book on Kindle for only 99 cents! HAPPY THANKSGIVING to all my readers in America (and anyone else getting into the holiday spirit whether it be Christmas, Yule, or any other special occasion to help light up these chilly winter months)! In my house, this weeks kicks off the official beginning of the holiday season. Already, my hubby and I are thawing our bird and preparing the ingredients for wild rice stuffing, home made cranberry sauce, mashed potatoes, and even an English Walnut Pie! Yummy! We will also be putting up our tree this week the help light up the snowy month ahead. 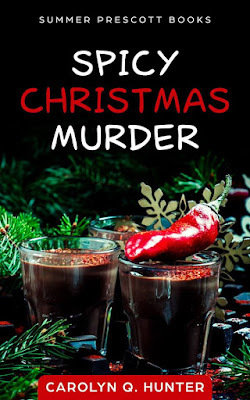 Another great way I love to celebrate the holiday season is with a tasty murder mystery! So, those of you who get an extra long weekend this week, I have a treat for you. My latest holiday themed cozy mystery is hitting Kindle today for only 99 cents! I also took inspiration and ideas from my college days and sprinkled them into this book, since much of the story takes place on a chilly campus during the quiet week of Thanksgiving when most of the students are off seeing family. For me, Thanksgiving week in college was one of my favorites because I usually stayed behind. 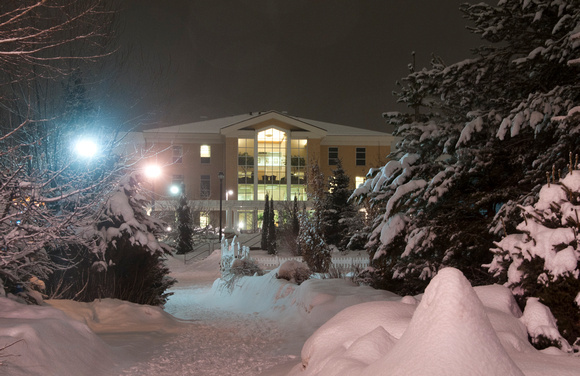 I loved walking around campus and seeing just how silent it was in the snow. The quad in the book as well as the layout of the buildings is lifted right from my own campus experience. Here is a picture to give you an idea of the winter wonderland Idaho could turn into during the cold months. Those were good and happy days for me, especially when I was married to my hubby. All in all, this is one of my favorite and most nostalgic books I've written, and I truly hope you find it an enjoyable read this holiday week. I'm also very excited about my next book set during the week of Christmas as well. Ever make a misguided decision? Thanksgiving is the busiest time of year at Pies and Pages, and shop owner Bertha Hannah is trying to bring in even more customers by offering free tickets to a local holiday themed escape room put on by the community college. While not exactly sure how escape rooms work, Bert knows that teens, college students, and families especially seem to love them. However, when one of Bert’s employees comes in telling of how her friend died in the same escape room they’re promoting, the sale backfires. Worse yet, Bert’s detective boyfriend Harry Mannor seems to think Bert’s employee may have had something to do with it. With sales on the decline and a murderer on the move, Bert rushes to prove her young friend’s innocence before it’s too late. This book will spice up your holiday, buy now, while it’s hot! 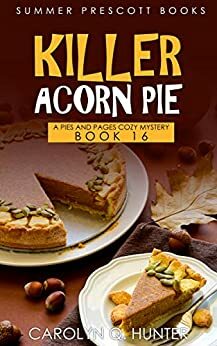 You can pick up your copy of Killer Acorn Pie on Amazon for only 99 cents or Kindle Unlimited for Free.